The Association of Professional Tennis Professionals (ATP) has approved a return to the World Team Cup calendar by 2020. 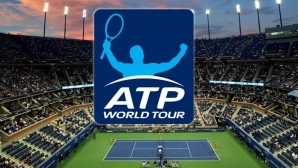 ATP has announced that it is due to finalize the contract with the partner for the organization of the Tennis Australia race. The tournament to be played at the start of the season will be a $ 15 million prize pool and 24 male teams will participate in it, and it is likely to earn points for the world rankings. The format will include three tennis players in each team, playing two single and one pair matches to determine the winner at each match. The first edition of the new tournament is scheduled to take place in Australia in January 2020. The World Team Cup was held in the German city of D�sseldorf from 1978 to 2012. Record titles for Germany and the United States with 5. The tournament will be a direct competition for the Davis Cup, whose future is not clear. The International Tennis Federation (ITF) commented on the decision as a `missed opportunity` for joint work between the two organizations. `This does not change ITF`s plans for the new Davis Cup format, ` the Federation said.